Back in business! After so many years of inaction, a decade, climate science is again in front of the US House of Representatives. Climate change is happening. Science-based decisions are needed, resilience is necessary, healthier, more secure communities are the goal. "The reason we care about the changing climate is because it is a threat multiplier," said Katharine Hayhoe, an atmospheric scientist and a political science professor at Texas Tech University. "If you think immigration is a problem now, just wait. If you think international competitiveness, or agriculture or water shortages, or the extreme amount of money that is being spent to help cities and regions recover after disasters, if you think any of that is a problem right now, just wait." The threat from climate change needs an Oval Office address to communicate its seriousness, said Bob Inglis, a former Republican congressman from South Carolina who once rejected climate science but now tries to engage conservatives on the issue. He said neither immigration nor climate change requires a national emergency declaration. Instead, a Republican president could use the backdrop of the Oval Office to explain that America is prepared to lead the world on climate action. He said he envisions a grand speech that echoes President Kennedy in 1961 at Rice University, where he marshaled the nation's best science for a race to the moon. "Climate change is this huge challenge, it's a worldwide challenge, it's just a call for American greatness to solve the challenge," Inglis said. "The rest of the world can't solve it. It does warrant that level of attention from a president, and of course that's not what we're getting now." "Restore the credibility of the Science Committee as a place where science is respected and recognized as a crucial input to good policymaking." Mr. Pruitt faced up to 19 separate investigations into his conduct reflecting a stunning degree of disregard for federal ethics, special-interest and procurement rules. The sheer volume of investigations would be comic but for the harm Mr. Pruitt wrought. Andrew Wheeler to Succeed Pruitt at the EPA: Who is Wheeler? Mr. Wheeler's public statements show him to be a skeptic, like Pruitt, about the extent to which coal, oil and gas emissions drive climate change... Wheeler was Senator Jim Inhofe's former chief of staff... Inhofe of Oklahoma is the Senate's most ardent challenger of manmade climate-change. After leaving his work with Inhofe, Wheeler then went to work as a lobbyist for top coal companies and other businesses and interests. "Surviving Victory": Moving Away from "Perpetual War"
The move jeopardizes plans to verify the national emission cuts agreed to in the Paris climate accords, says Kelly Sims Gallagher, director of Tufts University's Center for International Environment and Resource Policy in Medford, Massachusetts. "If you cannot measure emissions reductions, you cannot be confident that countries are adhering to the agreement," she says. Canceling the Carbon Monitoring System "is a grave mistake." What is there to say about a NASA appointment to the Trump cabinet who in the past has been a climate science denier, even as the NASA mission statement from its beginnings speaks to the necessity of Earth Science as a foremost mission of the agency. Of course, planet Earth has been studied by NASA for decades, coming out of the initial satellite missions of the 1970s and 1980s until today's first generation of sophisticated data-rich baselines of atmospheric-sea-and terrestrial systems. Yet, rejection of the vital missions of NASA seems to fit with rejection of the vital mission of the U.S. Environmental Protection Agency. Like much of the regression of the Trump administration, the appointment of Jim Bridenstine, over serious objections, demonstrates a policy of deconstruction, a policy that sets aside national security threats and retreats from responsibilities to all citizens in the nation, and a clear U.S. responsibility to cooperate with the international community to envision and achieve common goals as we strive toward attaining a common overarching goal of global security. Given the pressing needs, the Green Policy position on the new NASA administrator is to raise warning flags. Our skepticism is deep and our patience and forbearance is stretched as we examine the record of this political figure without a science background. Yes, Mr. Bridenstine was a Navy pilot and served honorably. Apart from his service record, his knowledge and understanding of NASA's challenges and its historic mission remains a core concern of ours. How limited is his view. It seems on inspection of his public statements a dangerously limited view. The challenge and risk of climate disruption and the role of NASA's satellite missions in studying Earth's life-enabling atmosphere, monitoring and measuring Earth systems essential for human survival, is NO minor responsibility. We will soon find answers to our questions on his vision and capabilities -- if the new administrator has any idea of real world threats and challenges as he takes on his new role. while a fifth, the Radiation Budget Instrument (RBI), remains cancelled. However, future large missions designed to monitor the Earth's climate have received no official nod of support, threatening their long-term viability. Isn't It Time to Measure & Monitor 'Externalities'? New York Timed Editorial: "Policies aside — and they’re terrible, from an environmental perspective — Mr. Pruitt’s self-aggrandizing and borderline thuggish behavior has disgraced his office and demoralized his employees. We opposed his nomination because he had spent his career as attorney general of Oklahoma suing the federal department he was being asked to lead on behalf of industries he was being asked to regulate. As it turns out, Mr. Pruitt is not just an industry lap dog but also an arrogant and vengeful bully and small-time grifter, bent on chiseling the taxpayer to suit his lifestyle and warm his ego. "Any other president would have fired him. Mr. Trump praises him. “Scott is doing a great job!” the president tweeted on April 7. "By endless repetition, he has reinforced in the public mind the lie that Republicans have peddled for years and Mr. Trump’s minions peddle now, that environmental rules kill jobs, that limiting carbon dioxide emissions will damage the economy, that the way forward lies not in technology and renewable energy but in digging more coal and punching more holes in the ground in search of oil. And, on the human level, he has been in the forefront of the administration’s shameless effort to delude the nation’s frightened coal miners into thinking coal is coming back, when any comeback is unlikely not because of regulation but because of strong market forces favoring natural gas and renewables. "The recently confirmed deputy administrator, Andrew Wheeler, is a former coal industry lobbyist who shares Mr. Pruitt’s deregulatory zeal and fealty to the fossil fuels industry. Mr. Wheeler was for many years chief of staff for James Inhofe, an Oklahoma Republican and long the Senate’s most determined denier of the accepted science on global warming." Rep. Lamar Smith, the chairman of the House science committee, who has announced his retirement from Congress, leaves behind a checkered past. A March 2018 op-ed fror Fox News illustrates again that the Congressman from Texas has ranged beyond facts and science as he represents his district and his base of supporters primarily from oil/gas interests. FactCheck.org, a project of the Annenberg Public Policy Center at the University of Pennsylvania, takes a point-by-point look at Smith’s Error-Filled Climate Op-Ed. The Trump administration wants to eliminate a broad swath of the nation's climate change research infrastructure, including satellites, education programs and science centers. Though it has little chance of being enacted, the Trump administration's budget proposal unveiled yesterday targets hundreds of millions of dollars in climate science, renewable energy research and climate mitigation efforts across a variety of federal agencies, including NASA, NOAA, U.S. EPA and the departments of the Interior and Energy. https://fas.org/sgp/crs/misc/R43935.pdf -- The Office of Science and Technology Policy over the past year has undergone deep cuts as the presidential science adviser position goes unappointed and coordinated science and technology leadership is absent. This office has aided presidents understanding and shaping of federal initiatives and programs involving science, research & development, space and technology since the mid 1970s. The current administration has chosen to go without this scientific resource. https://www.scientificamerican.com/article/trump-rsquo-s-science-advisor-age-31-has-a-political-science-degree/ -- Trump’s top ‘science adviser’ is a 31-year-old with only a political science degree. Michael Kratsios is an ex-Peter Thiel employee and as deputy assistant in the Office of Science and Technology Policy the nation's federal programs involving science and technology are being "coordinated", or so it seems. This past year has revealed much regarding the administration and Republican-controlled Congress positions. Science-based policy is under broad challenge and attack. Clearly, based on the record, the president cares little for science advisers and scientific evidence as a basis for federal policy. The newly released 2019 federal budget reveals priorities as sent up to the U.S. Congress. The human/health/environment/education services face deep cuts. Department of Defense/war operations globally and expanded nuclear weapon systems are in line for hundreds of billions in new spending. A new arms race has commenced. Science across federal agencies continues to be set back. The future of the nation and its standing among nations takes another consequential step. Whatever your politics, whatever your religion or beliefs, wherever on Earth you live, take care to make decisions based on sound science and facts. In the United States, many are questioning the state of science. Let's take a look at Science Magazine as all of us on Earth enter 2018. "NASA has used the vantage point of space to understand and explore our home planet, improve lives and safeguard our future..."
The Silencing Science Tracker is a database initiative that tracks government attempts to restrict or prohibit scientific research, education or discussion, or the publication or use of scientific information, since the November 2016 election. The “we are still in” coalition of states, cities, universities, faith groups and environmental activists, aims to show delegates from other nations at the Nov. 6-17 U.N. talks that many Americans are working to cut greenhouse gas emissions. In the military, the term "beheading" generally refers to battlefield strategy of disrupting the eyes and ears of the enemy, the intelligence communication systems. Here the enemy is us, as the US president moves to disrupt the eyes and ears of NASA earth facing mission monitoring real-time conditions on the home planet. It would be, if the anti-sci caucus in Congress goes along and has their way, a historic mistake. The ability to manage is based on measurement over time and cutting off our overhead earth science research will produce blind spots today and "data gaps" going forward. Read the Sept Jon Gertner 'Going Dark' article to get an idea of what's at stake and some of the consequences of being beheaded. It’s useless to explain to those who put political dogma before science that when air is warmer, it holds more water vapor. It’s that simple. The Economist notes that the world’s average temperature is about 1.2 degrees higher (Fahrenheit) than it was as recently as 1979. That’s a lot more water in the atmosphere — and it eventually it’s got to come down. To such learned men like Limbaugh, who has a college degree from — well, from nowhere — that just means we get rain from time to time. After all, the weather changes every day, right? Brilliant! But to others, who take such matters more intelligently, it means this: Weather-related disasters are increasing dramatically. Data from Munich RE, one of the world’s leading reinsurers, notes big spikes since 1980 in “meteorological events” (storms), “hydrological events” (floods, landslides and avalanches), and “climatological events” (extreme temperatures, droughts, forest fires). Munich’s data underscores what should be obvious to all but the most partisan skeptic: that the frequency, intensity and duration of “weather-related” events is on the rise. This is the part where deniers mock “fake news” because it doesn’t jibe with their political beliefs. This is the highest form of ignorance: denying things that have already occurred. Such annoying phrases. Granted, Scott has done a good job in the days before and after Hurricane Irma. But we’ll never know how much less damage there might have been to businesses and homeowners had Scott chosen not censorship, but leadership six years ago by acknowledging climate change and facing it head on. Silence doesn’t make a problem like this go away. Trump’s actions, meanwhile, have spoken louder than any words, banned or otherwise. He took more money from the coal industry — by far — than anyone else during the 2016 campaign. And as president, he has returned the favor in spades. He famously pulled out of the Paris climate pact — joining only war-ravaged Syria and tiny Nicaragua on the sidelines. He complained about all of Barack Obama’s executive orders, but signed one scrapping Obama’s Clean Power Plan rule designed to curb greenhouse gas emissions that contribute to global warming. Trump has blamed Obama for coal’s decline, but the real reason is lower natural gas prices. Obama became president in 2009, yet between 2000 and 2010, power plants generated 50% more electricity from gas, while coal’s use declined slightly. Obama gave these trends a further nudge, no doubt about it, but the shift from coal to cleaner, cheaper natural gas appears irreversible. I empathize with the coal industry, just as I would have empathized with the horse and buggy crowd in 1908, when Henry Ford’s first Model T spelled their demise. It’s called progress, folks. And no column on energy and climate change would be complete without mentioning perhaps the worst Cabinet-rank pick ever made by an American president: Scott Pruitt. Pruitt, a climate denier par excellence, has, behind a cloak of secrecy and fear, turned the Environmental Protection Agency into an arm of the fossil fuel industry that has long had him in its pocket. The House last month passed a bill fiercely opposed by doctors and public health groups, including the American Lung Assn. and the American Academy of Pediatrics, that would delay for years new anti-pollution standards aimed at ultimately preventing 160,000 childhood asthma attacks and as many as 220 premature deaths in California each year. The Trump administration had already tried using regulatory authority to put the standards on hold for a year, but walked back that action Wednesday after California and 14 other states filed suit against the delay. Climate-change deniers go to great lengths to convince the public that there’s a legitimate scientific debate about whether humans are the main cause of global warming, but the Trump administration took this pathology to another level last week: Scott Pruitt, the head of the Environmental Protection Agency, plans to form a group to question the merits of climate science. ● The US will be judged, this day will be long remembered. ● National Security & Global Security are interrelated. He doesn't know this. There's so much he doesn't know & so much he doesn't know that he doesn't know. On Earth Day, as Around the World Planet Citizens "March for Science"
Bill Nye: "Our lawmakers must know and accept that science serves every one of us. Every citizen of every nation in society. Science must shape policy. Science is universal. Science brings out the best in us." Nye said. "With an informed, optimistic view of the future, we can — dare I say it — save the world!" Trump's anti-science budget / America ought to own the solar-electric industry. By rights, we ought to be exporting solar technology, not importing it. Our second-tier status, in a field that we once absolutely dominated, is a direct consequence of budget decisions made by President Reagan’s Office of Management and Budget, and a go-along Congress. Science has always been at the heart of America’s progress. Science cleaned up our air and water, conquered polio and invented jet airplanes. Science gave us the Internet, puts food on our tables and helps us avoid pandemics. Science and technology are widely considered by economists to be responsible for at least half of American economic growth since World War II. Defunding science is the intellectual equivalent of eating our seed corn. On Earth Day — April 22 — I expect millions of Americans to join the March for Science. They will include researchers, teachers, students and people who simply support good sense. We will be marching because, if we let politics overtake the search for truth, much of what has made America great will disappear. ● Dr. Gavin Schmidt, the director of NASA’s Goddard Institute for Space Studies, told the Independent he and other government scientists are “not going to stand” for any funding cuts or other interference in their work. GreenPolicy's response -- Dr. Michael Mann tells the committee the facts of the gathering crisis... "dozens of independent lines of evidence come together... to arrive at the same, consistent answer, over and over again." Science Magazine / March 24 -- Representative Lamar Smith (R–TX) rarely expresses his true feelings in public. But speaking yesterday to a like-minded crowd of climate change doubters and skeptics, the chairman of the science committee in the U.S. House of Representatives acknowledged that the committee is now a tool to advance his political agenda rather than a forum to examine important issues facing the U.S. research community. Heartland Meeting in Washington D.C. The budget targets the agency’s work on environmental science, cutting funding for Earth science research grants. 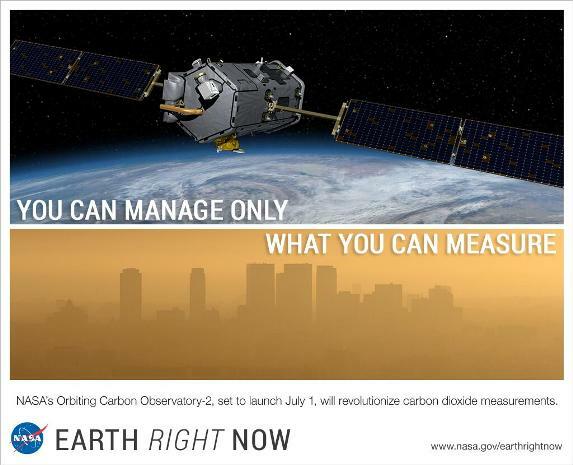 It eliminates earth science missions that are still in development, including Plankton, Aerosol, Cloud, ocean Ecosystem, or PACE, which was was intended to monitor the Earth’s ocean health; the Orbiting Carbon Observatory 3, or OCO-3, an instrument to precisely monitor the carbon dioxide in our atmosphere; and the Climate Absolute Radiance and Refractivity Observatory, or CLARREO, pathfinder, which would have used a solar spectrometer to produce highly accurate climate projections. On March 14th, Bloomberg reported that President Donald Trump is about to sign an executive order repealing President Barack Obama’s Clean Power Plan, and to order a reconsideration of the government’s use of the “social cost of carbon” metric, which measures potential economic damage related to climate change. Last week, meanwhile, Trump’s Environmental Protection Agency administator, Scott Pruitt, suggested that carbon emissions have nothing to do with climate change. This week, seventeen Republican members of Congress from diverse districts — including representatives from coastal Southeastern states, Nevada, Utah, upstate New York, and Pennsylvania — submitted a resolution in the House acknowledging that “human activities” have had an impact on the global climate and resolving to create and support “economically viable” mitigation efforts. The resolution, sponsored by Reps. Carlos Curbelo of Florida, Elise Stefanik of New York, and Ryan Costello of Pennsylvania, is being submitted in the midst of an unprecedented effort by the most anti-science administration in recent American history to remove climate science studies and data from federal agencies. It is illegal to destroy government data, but agencies can make it more difficult to find by revising websites and creating other barriers to the underlying information. The Environmental Data and Governance Initiative is an international network of academics and non-profits addressing potential threats to federal environmental and energy policy, and to the scientific research infrastructure built to investigate, inform, and enforce. Dismantling this infrastructure — which ranges from databases to satellites to models for climate, air, and water — could imperil the public’s right to know, the United States’ standing as a scientific leader, corporate accountability, and environmental protection. The expected rollback to federal climate science has begun. In its preliminary budget proposal, the Trump administration has targeted environmental protections and climate change research. And while the cuts are essentially an opening salvo in what promises to be a fight with Congress once the budget requests formally arrive, they also demonstrate the level of hostility many scientists feared their work would face from the White House. The administration is seeking a nearly 20 percent cut to the National Oceanic and Atmospheric Administration's budget, including to its satellite division, The Washington Post reported. That includes significant cuts to the National Environmental Satellite, Data and Information Service, which has produced research that disproved the notion of a global warming pause. NOAA's satellites provide invaluable data on climate change that are used by researchers throughout the world. The NOAA cuts target the Office of Ocean and Atmospheric Research, which conducts the bulk of the agency's climate research. That's on top of proposed reductions to climate research at U.S. EPA, including a 40 percent cut to the Office of Research and Development, which runs much of EPA's major research. The cuts specify work on climate change, air and water quality, and chemical safety. The Trump administration also has proposed 20 percent staffing reduction at EPA. Environmental Protection Agency Administrator Scott Pruitt said Thursday (March 8th in a CNBC interview) he does not believe carbon dioxide is a primary contributor to global warming. "I think that measuring with precision human activity on the climate is something very challenging to do and there's tremendous disagreement about the degree of impact, so no, I would not agree that it's a primary contributor to the global warming that we see." Clean Air, Clean Water? Healthy Environment? Climate, Sustainable Future? Piers J. Sellers is the director of NASA’s Earth Science division, and the former astronaut is a climate scientist himself. ProPublica spoke with him recently. Sellers declined to discuss the politics surrounding NASA during a presidential transition, but said the agency has a unique position in the world in clarifying global environmental risks and that part of its mission deserves support. NASA’s role in earth science began at its inception: The Space Act of 1958, which created NASA, made the study of our atmosphere one of its top priorities. During the Reagan years, Congress amended the act to make Earth the first of NASA’s nine fundamental missions. Right now there are at least 15 earth-science satellites that NASA helped build, launch and operate; they monitor everything from global rainfall to soil moisture. GreenPolicy: It is painful to acknowledge how slight the attention has been by the US media toward what is, demonstrably, one of the greatest threats rising in the US Congress. In the above-linked 'Trump to scrap climate research' article, the UK Guardian looks toward the next US administration and points to warning flags that should be raised -- but have not, while the daily-cycle news and mainstream media focuses elsewhere. We/GreenPolicy360 have been warning about a close-and-present threat in the House science committee and now the danger of profoundly flawed decision-making draws closer as Lamar Smith and a science denial caucus looks to continue, with added powers, their efforts to eviscerate the US Earth Science budget and missions. The threatened actions of the House Science Committee, in fact, are looming as a serious threat to 'homeland security'. The actions of this science denial group promise to undercuts national/global security. Take a closer look at what GreenPolicy360 has been reporting taking place in the people's Congress. It is time to draw attention to the risks -- and consequences -- of a Congress rejecting science. Of course in the legislative process, one has to accept consensus science and the scientific method and policy based on best evidence available and the 'precautionary principle'. Or, as in the case of the insurance industry, factor in actuarial risks, odds, and a full-cost accounting. We will soon find out what actions -- and what legacy -- the American people at the beginning of the 21st century pass forward for future generations. The U.S. and this Congress will be judged based on its actions. “Maintaining temperatures below a 1.5C guardrail requires significant and very rapid cuts in carbon dioxide emissions or co-ordinated geo-engineering. The facts of climate change are straightforward: there’s been a warming surge over the past hundred years, with a dramatic uptick in this new century. We are seeing the effects in the shrinking of the summer Arctic sea ice and the melting of the Greenland glaciers. That melt, in turn, has been partly responsible for the three-inch rise in sea levels since 1992. The Earth is warming, the ice is melting, and sea level is rising. These are observed facts. Are we humans the cause of these changes? The answer is an emphatic yes. Many climate-research groups around the world have calculated the various contributions to climate change, including those not related to humans, like volcanic ash. It has been shown repeatedly that it is just not possible to explain the recent warming without factoring in the rise in anthropogenic greenhouse gases. As a scientist, I would like to think that the political discussion of climate change and how to mitigate its worst effects would be sober and fact-based. Unfortunately, this is not the case. Climate-change deniers in the United States have done a first-class job in spreading confusion and misinformation. As a result, many prominent politicians insist, and get away with insisting, that climate change is a hoax, a mantra that has gained some credibility through sheer repetition. Climate deniers are also fond of saying that global warming is not resolved in science or is “just” a theory. This is a perfect example of Orwellian Newspeak which also flies in the face of three hundred years of scientific progress, in which intellectual argument and conviction must be based on facts and substantiated theories, rather than personal beliefs or biases. We, the undersigned legal scholars, are writing to comment on Senate Bill 1161 (Allen), the Climate Science Truth and Accountability Act. As experts in constitutional law, environmental law, corporate law, and securities law, we believe that SB 1161 furthers the protection of consumers from unfair business practices with respect to scientific evidence regarding anthropogenic climate change. Does Republican candidate Trump really believe this or not? Democrat presidential candidate debate, November 14, 2015 (LA Times) -- Sanders was asked whether he still believed, as he had earlier stated, that global warming was the greatest threat to national security. “Absolutely,” Sanders replied, suggesting that “climate change is directly related to the growth of terrorism”, with the fight over natural resources like water possibly leading to even greater international conflict. It was what one expert called perhaps “the worst long-term drought and most severe set of crop failures since agricultural civilizations began in the Fertile Crescent.” It destroyed the livelihoods of 800,000 people and sent vastly more into poverty. The poor and displaced fled to cities, “where poverty, government mismanagement and other factors created unrest that exploded in spring 2011,” the study’s news release explains. GreenPolicy360: The current debate in the United States Congress is highlighted by voices who would set aside the consensus of the scientific community and cut back budgets for Earth Science studies from space. The recent launches of a fleet of new NASA satellites and related missions to acquire critical data of Earth systems is now threatened by politicians who profess they are "not scientists" and, as a result, cannot speak to the validity of human-caused impacts and threats to natural systems. The vantage point of space offers a unique platform for risk assessment, studying and monitoring Earth's systems over time and, hopefully, better managing the well-being and sustainability of critical systems. Those who undercut the environmental and national security of these missions should be questioned and challenged. GreenPolicy360 will continue to track the positions and responses of politicians in countries around the globe with an emphasis on those with existing earth-space programs. The extreme point of view of a US Senator from Texas and anti-science perspective a newly elected Congress are coming to the fore and threaten to have more impact on the nation's security. Senator Cruz from Texas questions and doubts the need for scientific studies that are confronting a host of challenges to the planet's environmental security and, as a result, the US security. Rather Senator Cruz from Texas brings evangelical zeal and religious beliefs that sharply criticize the science of NASA and its recent Earth-monitoring satellite programs. Texas Senator Ted Cruz: "More Space, Less Earth"
Ted Cruz and Charles Bolden would probably agree that the core of the Earth is a mass of molten metal as hot as the sun. But as for the core of NASA's mission, the senator from Texas and the former astronaut split ways. Since taking the chairmanship of the Senate Space, Science, and Competitiveness Subcommittee this year, Cruz has been pushing the agency to adopt a "more space, less Earth" strategy. The Republican lawmaker argues that the Obama administration is wrongfully neglecting the country's space exploration operations—like potential missions to Mars and beyond—in favor of global-warming research. And he wants to know if Bolden, NASA's administrator, thinks so, too. "I'd like to start by asking a general question," said Cruz on Thursday during a subcommittee hearing on the president's $18.5 billion budget request for NASA for fiscal 2016, which allocates considerable funding for Earth- and ocean-science projects. "In your judgment, what is the core mission of NASA?" Bolden said he'd been contemplating that mission over the past few days, and had read over the National Aeronautics and Space Act of 1958, which created the agency. "Our core mission from the very beginning has been to investigate, explore space and the Earth environment, and to help us make this place a better place," he said, adding that the study of aeronautics is important as well. Cruz didn't seem pleased with the "Earth environment" part of Bolden's answer. "Almost any American would agree that the core function of NASA is to explore space," he said. "That's what inspires little boys and little girls across this country ... and you know that I am concerned that NASA in the current environment has lost its full focus on that core mission." Cruz then pointed to a chart behind him titled "Focus Inward or Focus Outward? Refocusing NASA's Core Priorities" that compared NASA's budget in 2009 with the current request. He said that since 2009, funding for Earth sciences has seen a 41 percent increase, while funding for exploration and space operations, what Cruz "would consider the core function of NASA," has seen a 7.6 percent decrease. "In my judgment, this does not represent a fair or appropriate allocation of resources, that it is shifting resources away from the core functions of NASA to other functions," Cruz said. "Do you share that assessment?" Bolden, who decides how to allocate NASA's annual budget, did not. That dip in space exploration funding? That was kind of the whole point. "Mr. Chairman, I am very interested in your chart," he said. "I will say one thing—it is interesting to note that there is a decrease in exploration and human spaceflight when, in fact, that was somewhat intentional because we were trying to get the cost of exploration down as we reach farther out into the solar system." Bolden said the now-defunct space shuttles cost NASA $2 billion a year to maintain whether they flew or not. Today, NASA has a $6.6 billion contract with private companies Boeing and SpaceX that will provide for 16 human spaceflights over a span of three to four years. "So I think the decrease is actually a little bit of what we're trying to do to get the cost of flying humans into space down," he told Cruz. "That's what's driving the market, is reducing launch costs." More money for Earth-science research is a good thing, he continued. "The fact that Earth-science has increased—I'm proud to say that it has enabled us to understand our planet far better than we ever did before," Bolden said. The NASA chief distanced himself from Cruz's assessment of spending changes within the agency. You asked me about your chart. There's a lot of chartsmanship," Bolden said, chuckling. "I'm not sure what you include in 'exploration,' for example. So, by my statement, I was not acknowledging that I agree with the numbers on the chart. I don't want everyone to say I accept the numbers on the chart." The exchange offered a glimpse of NASA under a potential Cruz presidency. Climate-change researchers let out an audible groan when Cruz, who is expected to run in 2016, took the helm of the Senate subcommittee overseeing the federal agency in January. Cruz's views—especially his belief that global warming doesn't exist—are at odds with NASA's extensive climate-science programs, which study solar activity, sea level rise, and oceanic temperatures, to name a few. On Thursday, Bolden appeared to hope the senator's opinions wouldn't get in the way of how NASA spends its money. "We can't go anywhere if the Kennedy Space Center goes underwater and we don't know it—and that's understanding our environment," Bolden said, alluding to the risk that climate change poses to the low-elevation state of Florida. "It is absolutely critical that we understand Earth environment because this is the only place that we have to live." ... In Cruz's mind, President Obama has spent too much of the agency's resources studying the planet we already inhabit, rather than focusing its missions on the "infinity and beyond" objectives that have the potential to captivate Americans. For Cruz to rewrite NASA's objectives, he'd need the approval of his subcommittee, votes in the full Senate and House, and Obama's signature. Even for someone used to fighting long legislative odds, it's likely Cruz's role will be less about principled showdowns over must-pass legislation and more about shining a spotlight on perceived priorities. Last year, NASA launched five new missions to study Earth's climate, and Earth science missions currently occupy about 10 percent of NASA's budget. Cruz believes that has come at the expense of "the core mission of NASA, manned space exploration." "There are tremendous opportunities for commercial space," Cruz says. "One of the very first focuses of the subcommittee will be on expanding those opportunities, expanding how we can allow the private sector to create jobs, to create growth, and how we can explore new frontiers in space." Those in the commercial space industry believe Cruz recognizes their potential. "We're seeing a well-diversified commercial renaissance in Texas. That's something that philosophically the senator feels good about," said NanoRacks co-founder Jeffrey Manber. His company contracts with NASA to provide computer-lab space and small satellite launches from ISS. GreenPolicy360: Of course, the data demonstrates that much of NASA's work based in Texas, as the Texas Senator is aware, brings benefits to Texas, economic benefits and incalculable benefits beyond the state of Texas -- NASA has led the world's scientific efforts to study space and Earth's unique life-giving systems in space. The field of "New Space", extending beyond first-generation space/earth science and continuing NASA missions with economies, is building a fast-growing vital industry in cooperation with NASA. New Space extends the mission of the US space program as multiple start-up companies supply NASA missions and launch micro-satellites and remote sensing services and Internet distributed products and information across a wide spectrum of business, natural resources, science and critical environmental fields. Over the past several years, the venture capital market has hurried to support these start-ups, as the international business potential has become evident. One company as an example of many NASA-space, earth-science related companies in Texas is NanoRacks, deploying next-gen satellites from the ISS. The Texas "New Space" NASA-related business focus on deploying earth-facing, earth-science satellites is poised to become a worldwide industry. Visionary space-based, earth-science NASA missions involves billions of dollars in commercial space work grouped around NASA -- the work is essential to diverse, forward-looking Earth Science and 'smart' management of the planet as humankind takes responsibility for the by-products of industrial production and 'externalities'. At what cost? Is there a price to inspiration and creativity? Economic, scientific and technological returns of space exploration have far exceeded the investment. Globally, 43 countries now have their own observing or communication satellites in Earth orbit. 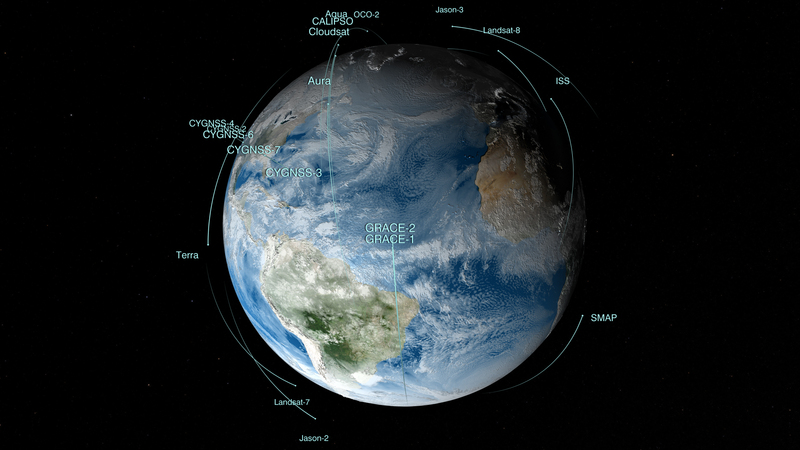 Observing Earth has provided G.P.S., meteorological forecasts, predictions and management of hurricanes and other natural disasters, and global monitoring of the environment, as well as surveillance and intelligence. Satellite communications have changed life and business practices with computer operations, cell phones, global banking, and TV. Studying humans living in the microgravity of space has expanded our understanding of osteoporosis and balance disorders, and has led to new treatments. Wealth-generating medical devices and instrumentation such as digital mammography and outpatient breast biopsy procedures and the application of telemedicine to emergency care are but a few of the social and economic benefits of manned exploration that we take for granted. Space exploration is not a drain on the economy; it generates infinitely more than wealth than it spends. Royalties on NASA patents and licenses currently go directly to the U.S. Treasury, not back to NASA. I firmly believe that the Life Sciences Research Program would be self-supporting if permitted to receive the return on its investment. NASA has done so much with so little that it has generally been assumed to have had a huge budget. In fact, the 2007 NASA budget of $16.3 billion is a minute fraction of the $13 trillion total G.D.P. “What’s the hurry?” is a legitimate question. As the late Senator William Proxmire said many years ago, “Mars isn’t going anywhere.” Why should we commit hard-pressed budgets for space exploration when there will always be competing interests? However, as Mercury, Gemini and Apollo did 50 years ago, our future scientific and technological leadership depends on exciting creativity in the younger generations. Nothing does this better than manned space exploration. There is now a national urgency to direct the creative interests of our youth towards careers in science and engineering. We need to keep the flame of manned space exploration alive as China, Russia, India, and other countries forge ahead with substantial investments that challenge U.S. leadership in space. In the twenty-first century, what would happen if U.S. manned space programs were managed based upon the contemporary demands of the planet and the American taxpayer? NASA could be rewarded to explore, but with terrestrial returns as a priority. Space exploration crews could conduct global warming research on the International Space Station National Laboratory, while other crews from the public or private sector could rapidly assemble solar energy satellites for clean energy provision to Earth. Lunar settlements could be established to develop new energy sources from rare compounds that are in abundance on the moon. Getting to Mars, to develop a terrestrial lifeboat and to better understand the fate of planets, suddenly takes on new meaning and relevance. I have to come the conclusion, after over 20 years in the space industry, that addressing global challenges with space solutions that benefit humanity and American constituents is the key to justifying the cost of manned space exploration. I believe we are about to find out, all over again, if civil manned space capability and policy can adapt and rise to meet new imperatives. Keith Cowing, founder and editor of NASAWatch.com and former NASA space biologist. Right now, all of America’s human space flight programs cost around $7 billion a year. That’s pennies per person per day. In 2006, according to the USDA, Americans spent more than $154 billion on alcohol. We spend around $10 billion a month in Iraq. And so on. Are these things more important than human spaceflight because we spend more money on them? Is space exploration less important? THE NIGHT SKY... You gaze up into history; you stare into the limits of your own understanding. The past flies toward you at the speed of light. Why are you here? Why are the stars there? Is it even remotely possible that our one, tiny, eggshell world is the only one encrusted with life? 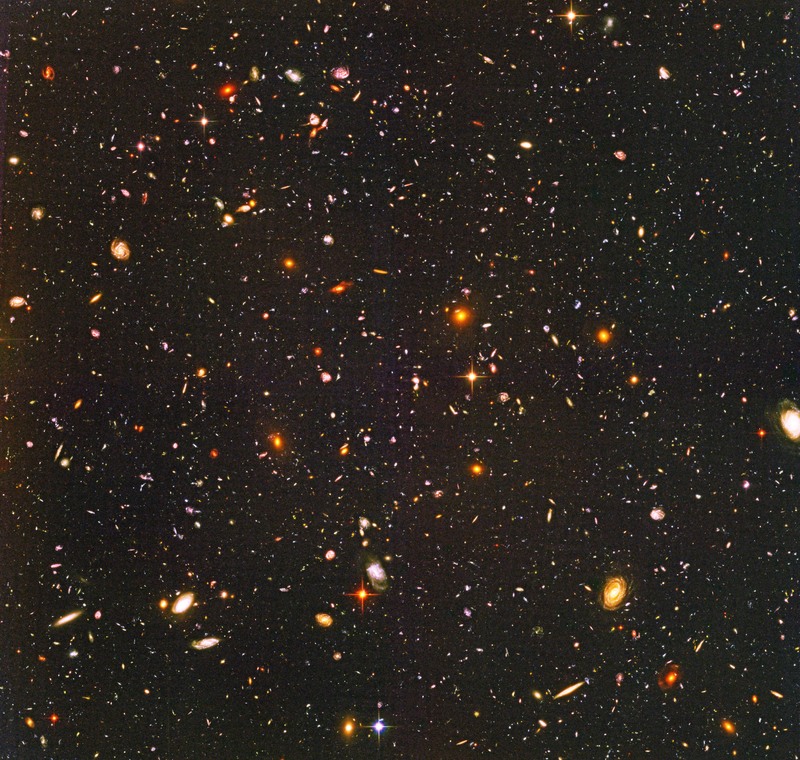 The Hubble Ultra Deep Field image should be in every classroom in the world. It should be on the president’s desk. It should probably be in every church, too. Whatever we believe in — God, children, nationhood — nothing can be more important than to take a moment every now and then and accept the invitation of the sky: to leave the confines of ourselves and fly off into the hugeness of the universe, to disappear into the inexplicable, the implacable, the reflection of that something our minds cannot grasp. One day we might be able to explore neighboring star systems, but it will be a while before that happens. All we can do at the moment is crawl slowly across our little solar system. Orbiting astronomical instruments will always be crucial to our understanding of the deeper cosmos. For example, the Hubble Space Telescope, launched in April 1990, completely revolutionized our perspective. But what will come next for astronomy? Expected to launch in 2018 on a European Ariane 5 heavy-lift rocket, the James Webb Space Telescope (JWST) is named in honor of NASA’s chief administrator during the 1960s development of Project Apollo. The core instrument is an infrared telescope with a twenty-one-foot-diameter primary mirror mounted on top of a sunshade the size of a tennis court. The supporting spacecraft, with gyroscopic stabilization systems, communication equipment, and solar power panels, juts out from the bottom of the sunshade. “It will be looking for very distant and faint galaxies, and often will pick up no more than a single photon of light per second from a target, so we want to catch as many photons as we can.” This extreme need for sensitivity requires JWST to operate in deep space, far from the interference of Earth’s noise and heat. It will orbit the Sun... while simultaneously making a smaller orbit on a special zone known as Lagrange 2 (L2), about 930,000 miles from Earth. How Thin is the Thin Blue Layer Protecting Earth?